The Wilhelm Gustloff holds the infamous record for the worst loss of life in maritime history. When she was sunk on January 30th, 1945, 9,343 men, women, and children slid under the waves of the icy Baltic Sea when the Soviet submarine S-13 fired three torpedoes into her port side sinking her in just over an hour. But what was life like on a passenger liner of the Third Reich? 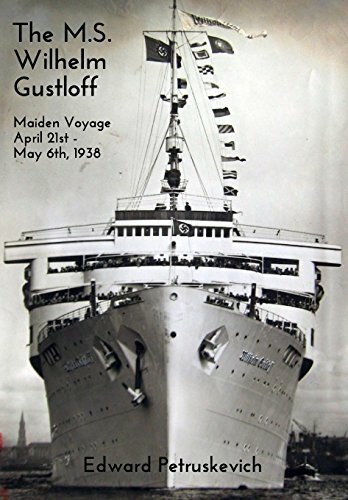 For the first time ever, the Wilhelm Gustloff Museum opened up its archives to publish a first hand account of what it was like to sail on the maiden voyage of the KdF flagship in 1938. The highlight is an 18 page journal written onboard by passenger Elisabeth Dietrich printed in both English and German. The book also includes original letters, newspaper articles, and daily agendas and menus for the voyage along with photographs of passengers onboard and the original tickets used for the trip.